E.B. Rock Family Daycare and Preschool believes that our responsibility is to work in partnership with parents to provide a nurturing environment. Our program is based on that each child is an unique human being with his/her own personality, strengths and interest. That each child learn more and grow positively by exploration and interactive play. In this program children will be able to use their imagination and self-expression of one-self and surrounding. E.B. 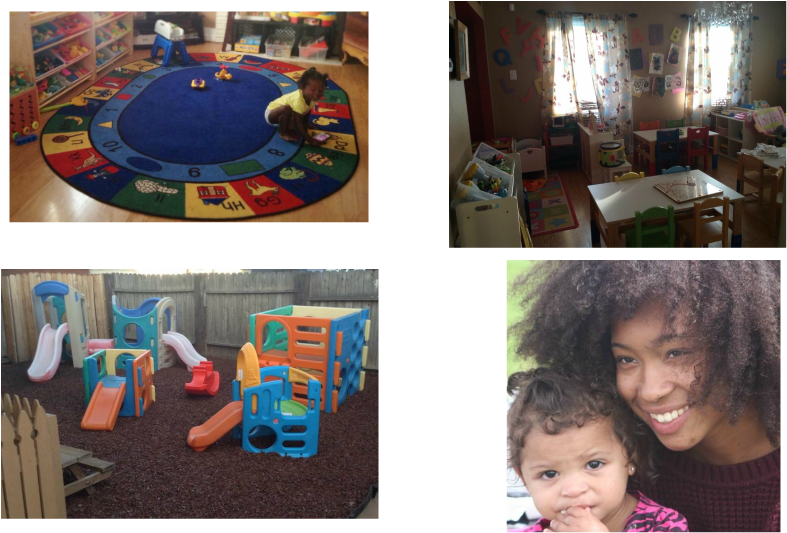 Rock Family Daycare and Preschool is located in a beautiful and spacious family daycare home in Oakland in a very nice, safe and clean neighborhood. Beside being a home that is filled with love and laughter, our home is also equipped with lots of fun, educational, and age appropriate toys, games and activities for children of all ages. E.B. Rock Family Daycare and Preschool also has a outdoor play area where children are able to develop his/her large and small motor skills, along with socialization skills. Children will be able to climb on climbers, slide down slides, ride on tricycles, play basketball and even pretend play in our playhouse and kitchen area to name a few. Please feel free to contact us to arrange a tour to learn more and/or if you have any question about our program.